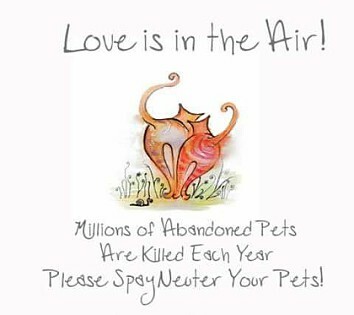 Millions of healthy, adoptable cats and dogs are euthanized each year in the U.S. because there simply are not enough homes for them all. 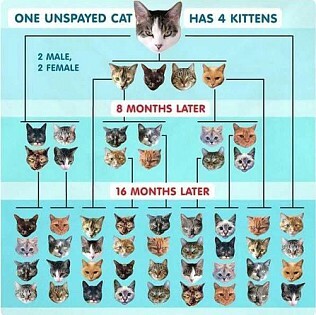 Spaying or neutering our pets is the most effective way to reduce the vast numbers of animals who are born only to die prematurely without a family to love them. The problem of pet overpopulation can be solved if each of us takes just one small step, starting with not allowing our pets to breed.